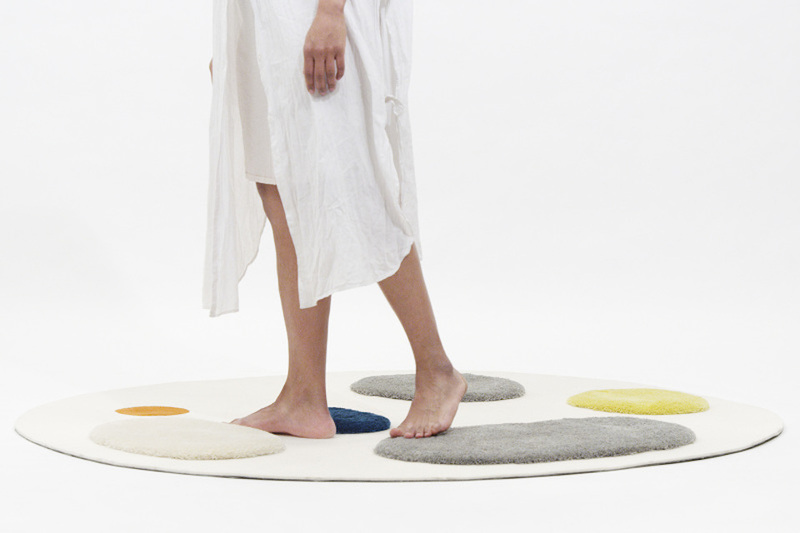 UMAMI carpet – Exploration of the different structures and textures with bare feet. 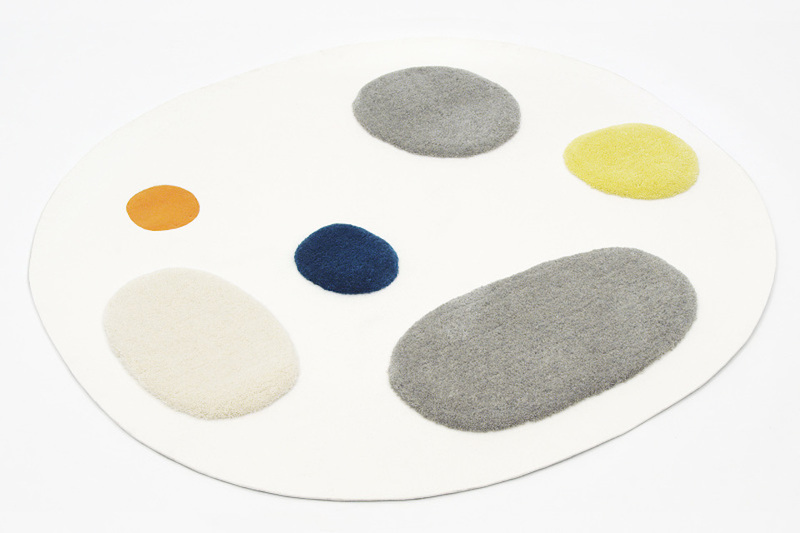 Combining the technical felt, tufted woolen yarn and rubber parts. SWEET pouf – The feeling of slowly sinking in while being seated. Made of memory foam and upholstery technique invented by the designer. SALTY space divider – Inviting the user to interact with the space divider by changing/adding/removing its layers. The room divider marks changeability and adaptability to different spaces. 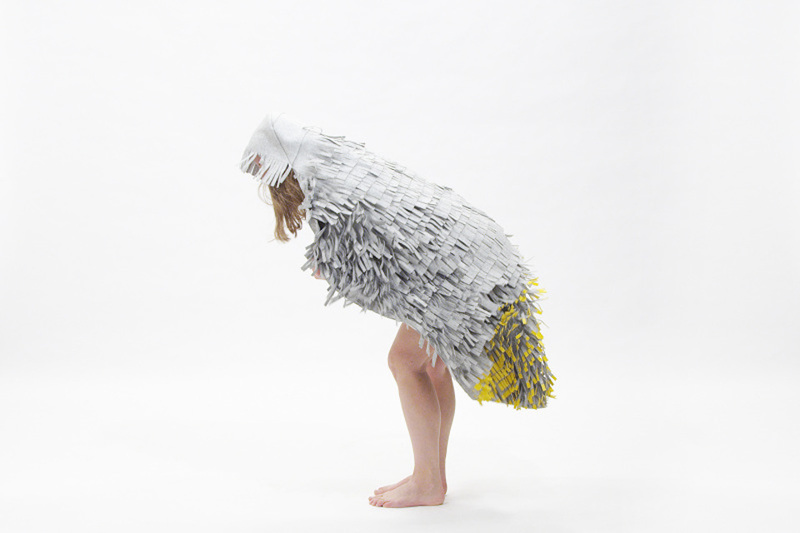 The piece is made by a combination of wool and polyester fabrics. 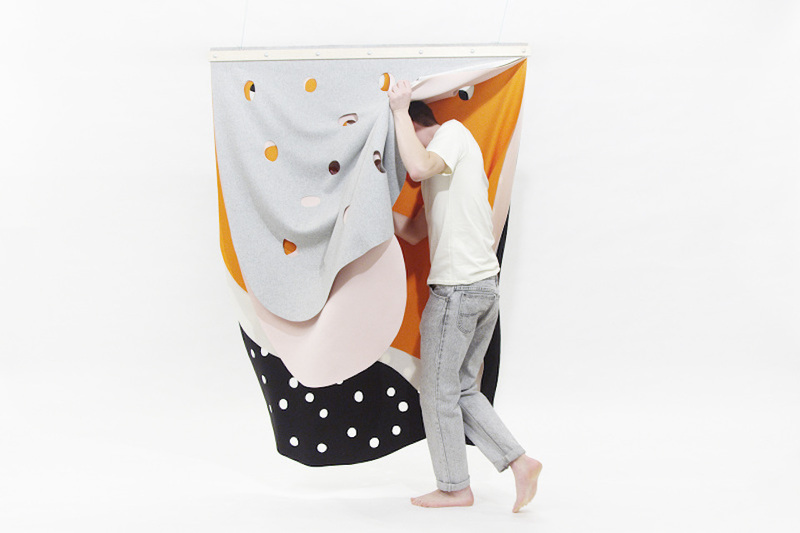 SOUR blanket – Encourages the viewer to interact with the blanket and comes to live with movement. 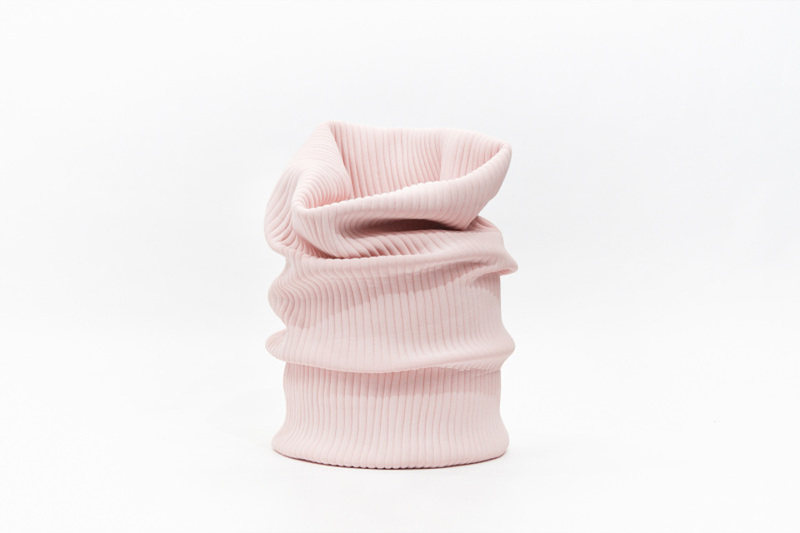 The piece is made by woolen fabric and liquid rubber. BITTER slippers – Is both soft and heavy at the same time, which makes it hard to walk. Each of the shoe weighs 2 kg. The slippers are made of foam and felt.